I've decided to start writing a progress report on Miner Wars development. You will be able to see what we did last week, what we're up to right now, and expectations of the forthcoming weeks. 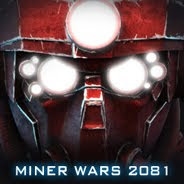 I will cover everything and all Miner Wars development staff. Richard is currently working on the introductory Miner Wars novelette - a short story which is supposed to introduce our fans to the Miner Wars universe. Other than that he's redesigned texts on the Miner Wars website and prepared some press releases. Dan just finished recordings of all generic, non-story wingmen and enemy fighters - Union, Patriots, Russians, etc. It's about messages like "Please don't kill me!" or "F*** that, I am outa here--". Here are some of the photos from a recent shoot at the sound studio. Slobodan has recently finished the final list of all prefab modules (3D models that are going to be used in to build levels, space stations, space ships); also a few rooms/chamber models. Next week he's going to work on tunnels and other prefab types. Rastko is working on the first intro video for Miner Wars (there are going to be three cinematic sequences in total). This first one is about massive-scale destruction, desperation, and introduces players to the Miner Wars universe in 2081. Filip just finished three chamber/room models -- they are very large -- about 500 meters in length each! Ilja has finished the first stage of our new GUI. This one look more futuristic, has cold colors, and looks glowy and holographics. Right now he works on new Keen Software House logo, and we're trying something that's a combination of old style (Gothic fonts) and sci-fi armors. In next days he is going to finish the ammo selection system and HUD. Petr works on our second generation renderer which is based on deferred rendering - but more importantly, our popping-free LOD (level of detail) transition. Our trick is that we render close scenes into the LOD0 render targets, then distant scenes into LOD1 render targets (these are low-poly models), and then blend LOD0 and LOD1 into final render targets which are later used for lighting, SSAO, and everything else. The best feature is that the transition between LOD0 and LOD1 models is seamless, practically invisible - even if they have different silhouettes. We needed this for the voxel LOD because that's generated on the fly and artists can't 'handcraft' it. Ondrej continues to work on network serialization, framework that will help us with multiplayer development. On Friday I saw the first working prototype - him and Michal were flying their ships in the same sector. It was very jerky, but it was the first multiplayer in Miner Wars! Jozef works on prefab container merging - an optimization for prefab modules rendering. We bake hundreds of prefab modules into a few large lists (by material/shader), so the rendering is faster, fewer draw calls, fewer GPU switches. Previously, Jozef's task was upgrading our auto-updater - new version is going to work over P2P too, speeding up the download and saving bandwidth on our servers. We plan to release this feature-rich version of the auto-updater as a separate product. Michal did many tweaks to GUI and right now he's continuing to implement the first 5 missions of the campaign. In practice he works on the first mission, building the sector, placing bots, implementing basic game-play. The reason for this is that we want to test gameplay and game mechanics before we start actual development of all remaining missions. 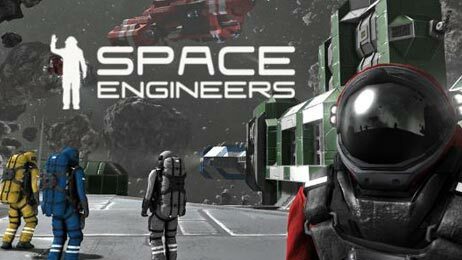 There are open questions such as: how funny is it to fly 10 minutes in open and boring space area... how to design interior levels in space stations, etc. This is actually a very interesting topic. So I won't say much, only that all progress he makes looks very interesting and you all will be happy. Our new addition. Works on large ship weapons - so they can spot and start shooting at an enemy. Practically at stand-by mode. Right now we're focusing primarily on game development and are leaving business developments on the side. Although, of course, we keep in contact with existing and new partners - agents, publishers, HW manufacturers, etc. Right now at stand-by mode as there's isn't much movement in our community - everybody is waiting for our next release. And finally - PLAY some games - I made scores of purchases on Steam in previous week (when they had those big discounts), but haven't had time to really play them. And as ancient Aztecs always used to say: every game developer needs to play games!